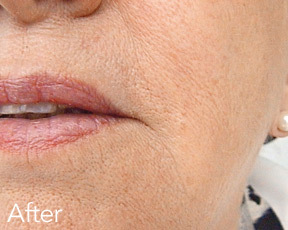 If you would like to get rid of wrinkles and folds or if you want to improve the image of your lips, there is a new answer to your needs. The product is an innovation based on non-animal hyaluronic acid, manufactured by a unique method in Laboratories.The treatment is performed by injectingthe dermal filler into the skin or lip, and because no pre-test is needed it takes less than 30 minutes. Hyaluronic acid occurs naturally in the body and therefore it also dissolves naturally with time. Hyaluronic acid is present in all living organisms. 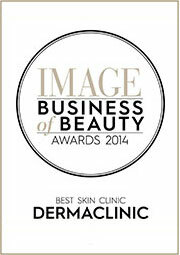 In your skin it creates volume, resulting in a healthy and vital appearance. The Dermal Filler contains hyaluronic acid in the form of a crystal-clear gel injected into the skin to lift the lip, wrinkle or fold. Once in the skin, it works together with the body's own hyaluronic acid and joins forces to create volume. In contrast to other biodegradable implants, Hyaluronic acid is not extracted from animals. This means no risk of allergic reactions. Therefore, it is perfectly safe to use instantly without pre-testing. Hyaluronic Acid's ability to bind water is unique, and when the molecules dissolve even they turn into water and depart without leaving any trace in your body. Unlike permanent implants, it always leaves you a choice when the effect of the treatment has worn off. Who knows what the concept of ideal beauty will be in 5, 10 or 20 years? Furthermore, a face is constantly changing and beauty is best maintained by periodically evaluating the need for further treatment. 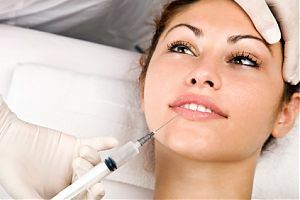 The dermal filler is naturally integrated into the tissue and allows for the free passage of important nutritive elements like oxygen and hormones. As cells are also able to pass between fragments of the gel the result is healthy skin all the time itis present in the body. 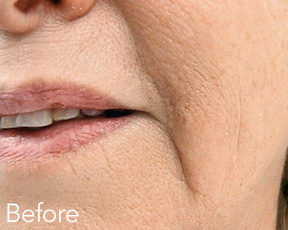 How long the effect of the dermal filler treatment lasts is very individual. It depends on many factors such as the structure of the skin, lifestyle and age as well as on the degree of perfection demanded by the individual. However, we know that for the majority of the patients treated about 50-80% of the effect remains after 6 months. 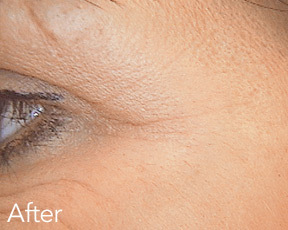 Most people choose to have a touch-up done within a year of the original treatment. The great thing about dermal fillers is that you can replenish your natural beauty whenever you feel the need. A touch-up can be performed any time you like after the previous treatment. The treatment takes about 30 minutes and the result is prompt. When treating wrinkles, pain relief is usually not needed but can be easily achieved. The treated area can be slightly swollen and red for I2-24 hours. For further details concerning your specific treatment, please consult us. 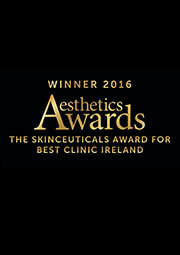 Radiesse a dermal filler for volume and contour definition available at the DermaClinic Blackrock Dublin. 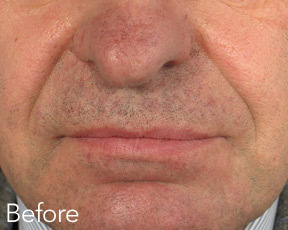 When Radiesse is injected as a dermal filler into the skin, it pushes up the contour deficits, providing a lifting effect and giving instant volume. 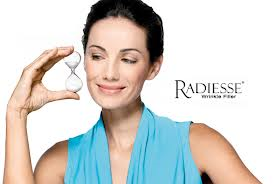 Radiesse® – the Volume Filler that Enhances Volume in Face and Hands.
. Nasolabial folds: reducing the lines that go from the nose to the corner of the mouth.
. 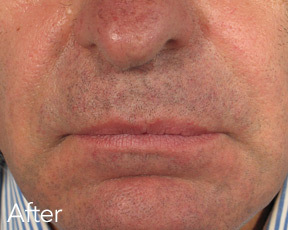 Shallow cheeks: replenishing the volume loss caused by reduced collagen production and fat loss.
. Marionette lines: reducing the lines that go from the corner of the mouth down to the jawline.
. Nose, chin and chin fold: correcting indentations, tips, bumps and unevenness.
. Jaw lines: defining the contours of this area.
. Eyebrow and temple: lifting the eyebrows and filling out the hollow temples.
. Earlobe: enhancing the fullness and smoothness of the earlobes.
. Hand: retaining a plump and youthful appearance in the back of hands. 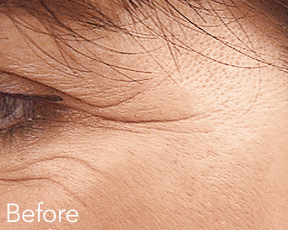 Before and after photos above show the instant results you receive from Radiesse. Radiesse® dermal filler meets one of the most rigorous standards for aesthetic facial injectables. Since Radiesse received FDA approval in 2006 (the American board that regulates the use of medicines and medical devices in theUSA), over 2 million syringes have been used worldwide with an excellent satisfaction and safety record. 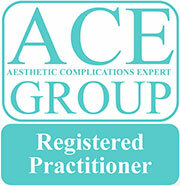 InEurope, Radiesse is fully approved with the CE certification mark. 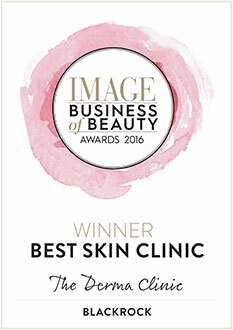 Radiesse has been a much loved brand for many practitioners and clients.
. Immediate results due to the elastic gel-matrix.
. Prolonged effect thanks to collagen stimulation.
. Lasts 12 month or longer in many patients.
. Well tolerated and no allergy test necessary.